Contents: Onilne Text and multiple-choice tests. 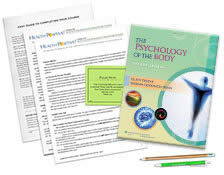 Do you have the Psychology of the Body textbook? See your enrollment options above for "I already own the text". This package contains 2 courses. Take each course when it fits your needs.You may take 1 test now and save the other test for your next renewal period if you wish. You'll receive 1 certificate for each test. Note: Extra ethics hours may be used to meet general CE Hour requirements. Description: Using The Psychology of the Body by Elliot Greene and Barbara Goodrich-Dunn, explore the amazing connections between the body/mind and learn how these connections influence a person’s responses to life, including to massage therapy and bodywork. 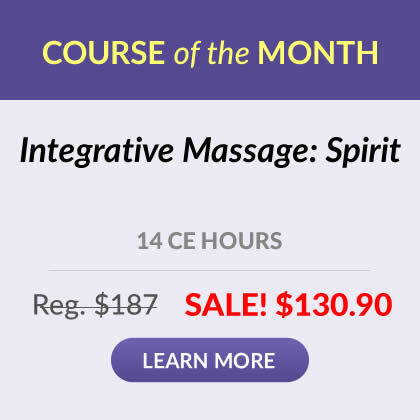 Through text and cartoons, discover new insights into the profound dynamics of armoring; how to safely support your massage clients’ emotional responses; how to confidently collaborate with mental health professionals; how to recognize and respond to ethical issues and how to use therapeutic frames in your practice. The textbook includes numerous cases studies and suggestions for applying the concepts through self-directed exercises. The textbook is a valuable reference to use over and over. Define the terms “paradox of healing” and “armoring” correctly describe how they apply to massage and bodywork situations. Identify at least 5 key elements involved in assessing your own values, beliefs and expectations about therapeutic change and resistance to change. Describe at least 1 key element in either identifying or responding to each of the 10 types of client defenses. Identify the essential elements in therapeutic relationships and roles; counter-transference; self-awareness and supervision. Describe the difference between massage therapy and psychotherapy, in terms of scope of practice. List at least 1 key element of sexual boundaries; social boundaries and financial boundaries, and identify examples of how each relates to massage therapy or bodywork practice. Define the term “therapeutic frame” and recognize how it applies to safe and ethical practice. Identify the essential elements that characterize the bodymind connection and affect the shape of the body. Identify the main effects that a client’s emotional release has on the massage therapy or bodywork process. Identify the essential elements in the nature of armoring and how it develops. Give at least 1 example of each of the following components of armoring: charge; grounding, bounding; tissue patterns and layers of the body. Define the terms disembodied; collapsed and compressed character structures. Describe the key elements in the relationship between armor and character. Describe the essential elements in the disembodied, collapsed and compressed character structures and identify examples of each. Identify an example of each of the 4 types of rigid character structures and a recommended therapeutic strategy for them. Identify an example of each of the following terms: generalized anxiety disorder; phobia; panic disorder; obsessive-compulsive disorder; PTSD; ADHD; addiction; eating disorder; somatoform disorder; mood disorder; psychosis; abuse, and uncontrollable anger or rage. List at least 5 recommended resources for additional information in the field of body psychology. Describe at least 1 key element in successful referrals and/or collaboration with mental health professionals. Since 1999, I have been treated with the utmost respect and admiration in getting the courses I needed each time I recertified so thank you very much for your time on this matter. 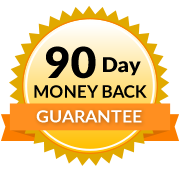 At this time I am almost ready to recertify under the new [NCBTMB] Board Certification program and your help definitely got me there. So thanks again, and I will be using your services in future courses.